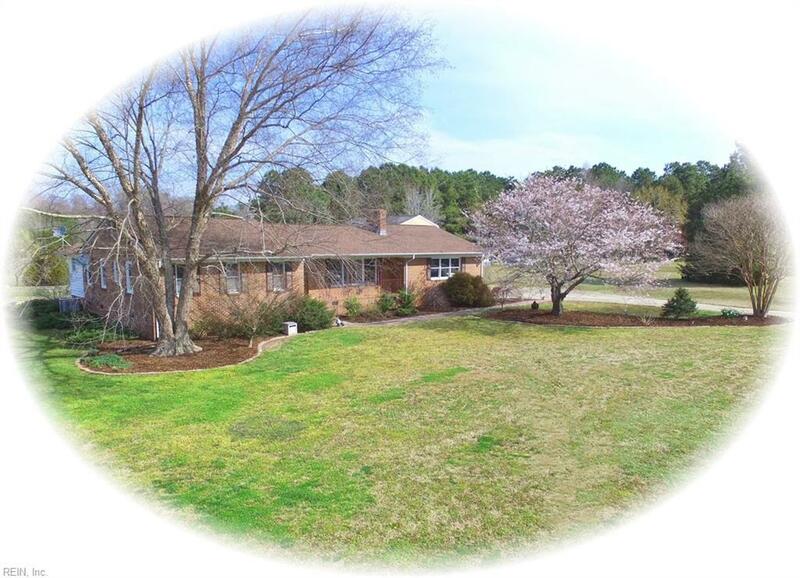 10367 Stallings Creek Dr, Isle of Wight County, VA 23430 (#10251507) :: Abbitt Realty Co. Peaceful Country Living in Smithfield. 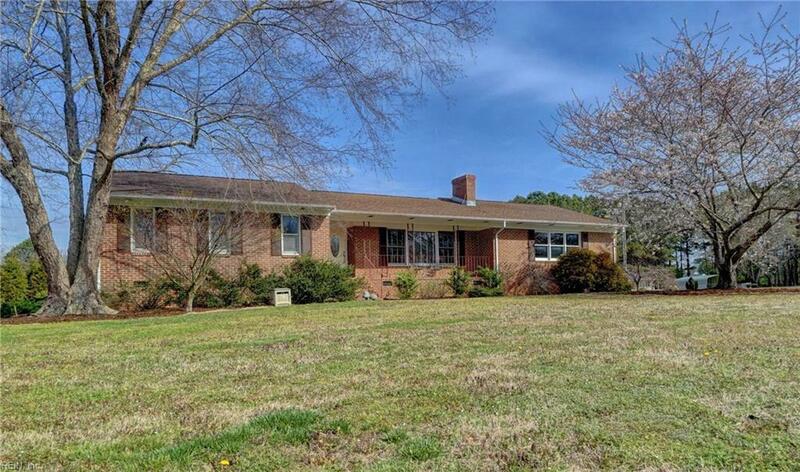 Enjoy This immaculate brick ranch surrounded by over four acres of wide open space. Watch your vegetable and flowers grow in the green house equipped with water and electricity while you soak in the hot tub on your deck. Guests? No problem! You have a four car garage with rooms above. Inside, the grand foyer opens up into large living room and dining room with a swarski crystal chandelier. The large open kitchen with custom maple cabinets and double ovens make cooking a breeze. 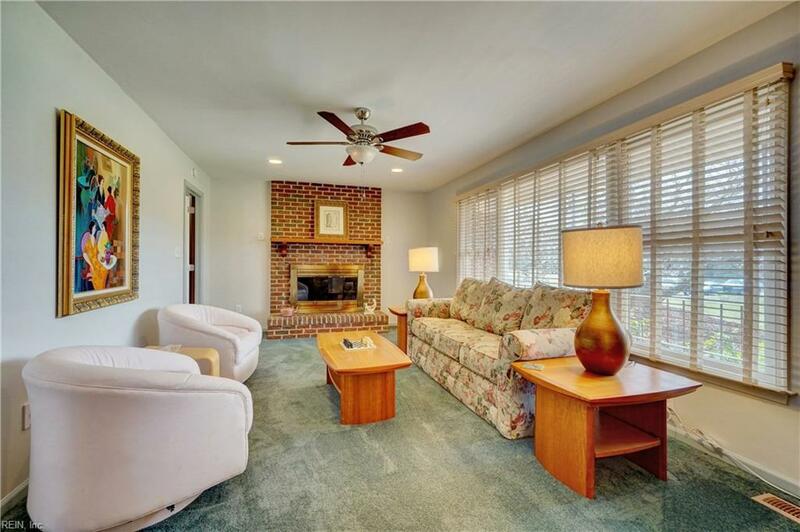 Enjoy coffee and dessert in your sunroom leading into the custom craft room beyond. 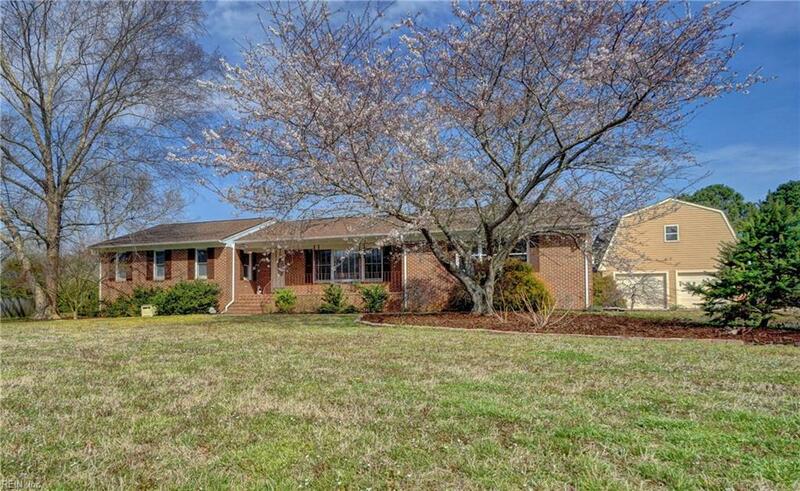 This large three bedroom home, two bath home is perfectly situated ten miles from Smithfield downtown. It is move in ready and waiting for you.